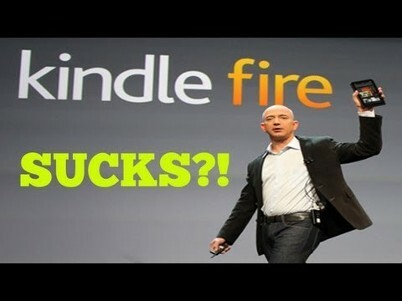 When Amazon recently released it’s much hyped Kindle Fire, expectations were set very high. This was to be the device that everyone could afford, the device to compete with Apple’s iPad, and the device that really launched Amazon into the tablet ring with the big boys. Early into the Fire’s short life, however, reviews are mediocre at best. Although Amazon has touted the Fire as it’s best-selling item, a lot of users are opting to return their new purchases citing lack of satisfaction with the product. There is a list of issues. -Users are complaining that the touch screen doesn’t respond the way they’d expect it to…the way they’ve come to expect with their phones and other touch screen devices. -The device’s web browser is slow to load many websites. We all know how frustrating that can be. -There are no privacy settings whatsoever. Whatever you just looked at will be displayed in a large rotating carousel on the home screen regardless of whether you want it there or not. Your wife will see it. -Parents complain how easy it is for teenagers or even young children to make purchases, with one touch purchasing power for just about anything. -There are no external volume controls…seriously. It’s certainly not what Amazon had in mind. They can boast all they want about the success of the product but the proof is in the pudding. When a huge publication like the New York Times compares the Kindle Fire to the Ford Edsel, things aren’t going well. Sales might be decent but when you’re selling a product being blasted all over the web, those sales aren’t going to hold up. But above all, this may be Amazon’s biggest issue and one we can all learn from…they simply got ahead of themselves. It’s easy to do. It’s easy to get caught up in the hype, wanting to push out a product when rumors are spreading and expectations are high. Nobody wants to keep eager purchasers waiting or start to hear “what is taking so long?”. They simply got ahead of themselves and put out a product that could have been better with more research, user feedback, focus groups, etc. Again it’s easy to do and I see it with domain development all the time, I’m even guilty of it myself. 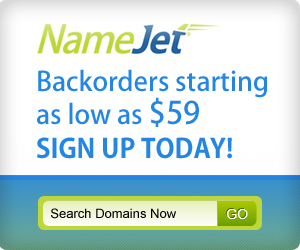 We’ve all bought a domain with development plans in mind, that gem with 10,000 exacts on Google and a $5 estimated PPC. We have big plans for the domain; we’re going to build out a great WordPress site, post original content, build backlinks, and drive traffic. Within no time we’ll surely be making money. But dreaming big often leads to getting ahead of ourselves. Soon enough we realize just how long it’s going to take to write 100 articles. Certainly we overlooked and underestimated the amount of time and effort this site is going to take. Maybe we’re building backlinks and instead of the slow and steady pace we know we should stick to, we send out a ton at a time early in the site’s life, only prompting Google to put our site in the penalty box. 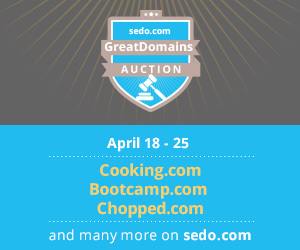 Perhaps we got so excited about the opportunity to buy the domain itself, we forgot to check out the competition. Soon we discover the first page of Google is full of PR 5 and 6’s for the keywords we’re targeting…ouch. And all too often we just throw up the WP theme that we feel looks the coolest or has a color scheme to match what we had in mind. Layout takes a back seat to all the other stuff we have on our plate. As a result, visitors are turned off and conversions stay low. So how can we avoid these pitfalls? 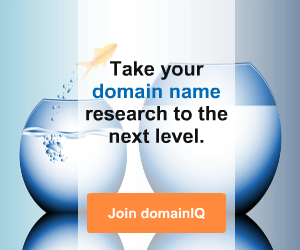 When buying a domain, whether for flipping or development, the answer is research, research, research. Research before, during, and after the sale and development. The more research you can do, the more likely you are to succeed with whatever approach you’re taking. 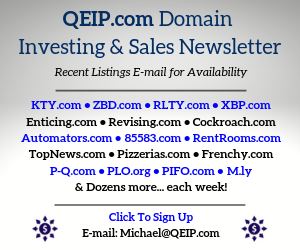 If you are serious about buying a domain, especially for development, researching the different aspects of what it’s going to take to succeed should be your main priority from the days leading up to the auction or offer/negotiations right through the development stages when you’re trying to fine tune your site to maximize visibility, traffic, and conversions. Slow it all down, double-check your findings and stats, be 100% sure of what you are getting into. I recently had an in-depth conversation with a very smart individual who was taking up a new venture of running a website. 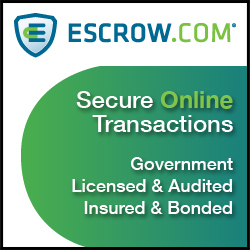 A business background he had but websites and website operation were new to him. The site had a fantastic design…very professional, pleasing to the eye…yet he seemed somewhat surprised when I started pointing out usability problems on the site that may be leading to low conversions. I listed several potential issues I found with the site and at the end he thanked me for pointing all of them out and assured he he would have them looked into. The problem is, this company had already begun the beginning stages of their marketing campaign, spending money on billboards and promotional events. I made one last point that all the money in the world can be spent getting users to the site, but if the site didn’t convert then none of it mattered. Unfortunately the company had gotten ahead of themselves. They had no user-feedback from the customers they did have and more importantly no feedback from people who didn’t buy in on the site. Proper research had not been done and as a result they were losing out on business. If you’ve ever gotten ahead of yourself with your domains, website development, or general business practices in general…don’t get down on yourself. We’ve all done it, multiple times. Heck, if Amazon can manage to do it with their most hyped release ever, certainly we can all be prone to it too. But if we can take a step back, learn from others’ mistakes, and make our situations better because of it, then we can take a big step in the direction of success. The bottom line…don’t rush, take your time, do it right the first time. It will save you a ton of time, money, and possibly the embarrassment of being referred to as a McDonald’s Arch Deluxe in the long run. I get your point to perform due diligence before investing so much time and energy into something, but it’s also important to SHIP. So many start-ups fail because they spend so much time trying to get their product juuuuust right that they run out of money. I know that a money problem isn’t the case with Amazon but just look at Apple – nearly all of their product launches are purposely missing a feature or two. Why? Because if they launched perfect products then there would be no reason to upgrade next year. I think Amazon is in a good position to have a bestselling product out there while they’re developing the true ipad competitor. Great points. Failure though tends to be the only way for us to learn good lessons…especially in this game.